The London Film Festival opened on 4th October and yesterday we attended the UK premiere of Redoutable - the latest film by French director Michel Hazanavicius of The Artist fame, - at the London Film Festival. The film was showing at Embankment Square Gardens and the director and cast spent some time on the red carpet prior to the screening, posing for photographs, signing autographs and talking to the media. Bérénice Bejo and Stacy Martin, who are both as lovely in real life as they are on-screen, braved the chilly early autumn weather in beautful strapless evening gowns. I must admit I do not know much about French director Jean-Luc Godard, the main character in the film, although he is one of the heavyweights of the French cinema. The film is set in France at the end of 1960s, Louis Garrel plays Godard and Stacy Martin, an Anglo-French actress, plays his young wife Anne. Bérénice Bejo also appears in a supporting role. The film is very well done from an artistic standpoint, has some really impressive cinematography and some witty dialogue too. Whenever I watch a film in a foreign language that I understand, I always try to listen to the actors and ignore the English subtitles. However, that can be difficult and I always end up looking at the subtitles too and mentally comparing the original dialogue with the translation. Which can be a bit tiring! I havedifficulty understanding some French accents at times, but in this film everyone speaks very clearly, with very easy to understand accents. After the film, Michel Hazanavicius and the cast came onstage for a Q&A session and came across as quite unassuming and genuine. "I am glad you are still interested in European cinema" said Mr Hazanvicius - was that a reference to Brexit? The Q/A was conducted in English and although the director, his wife Bérénice Bejo and the star of the film, Louis Garrel, speak halting, but overall fairly fluent English, they did struggle getting their message across at times. (Stacy Martin was raised bilingual and speaks perfect English, in addition to French.) An interpreter was on hand for any clarifications and was called upon to interpret questions from the audience on more than one occasion. A sign interpreter was also present, which was awesome. I wonder what it must be like interpreting movie stars or celebrities. It sounds like something I would have enjoyed back in my interpreting days, although, let me tell you, interpreting in general can be incredibly stressful! Watching this film made me realise I should watch more foreign language films. There are so many high quality French, Italian and Spanish films out there! From a language learning point of view, film festivals are a great opportunity to see a film in a foreign language. 300+ films from 50 countries are shown at the London Film Festival, so there is plenty of cinematographic goodness for language learners to enjoy! 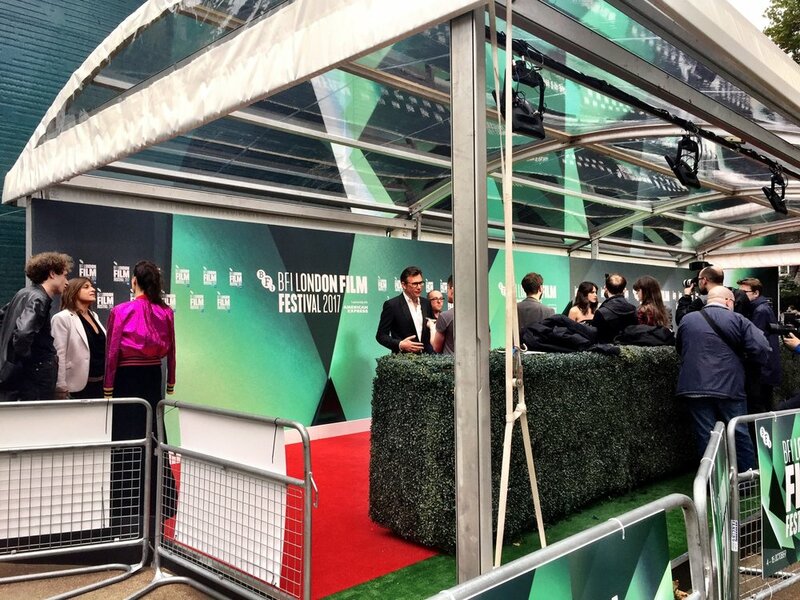 Personally, I am a bit sad I won't get the chance to see more films at the LFF this time around. And if you do go to a film festival, who knows, you might get to see some of the cast, ask them a question or even have a chat with them in their native tongue. Do you ever watch foreign language films without subtitles? Do you think they are a great way to improve your foreign language skills? Drop me a line to tell me about your experience.